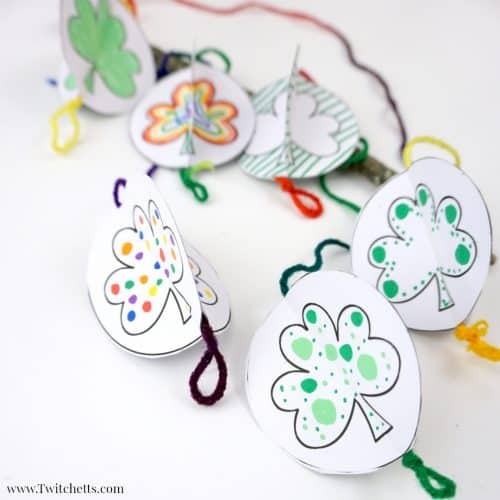 Use our 3D Paper Shamrock Template to create a fun shamrock mobile! 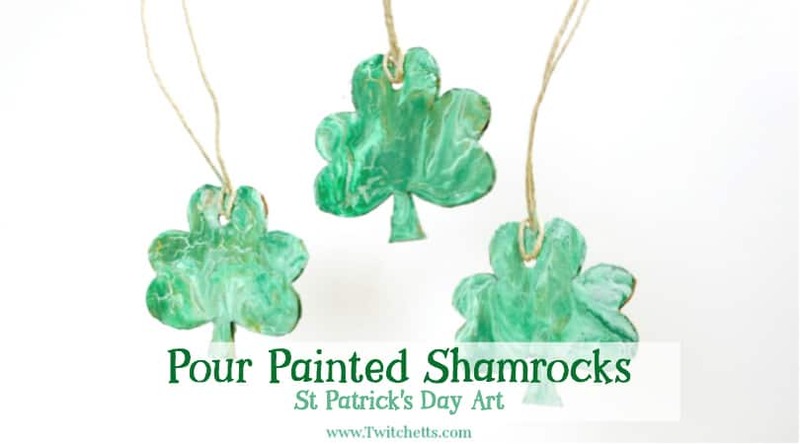 It’s the perfect St Patrick’s Day craft for kids of all ages. 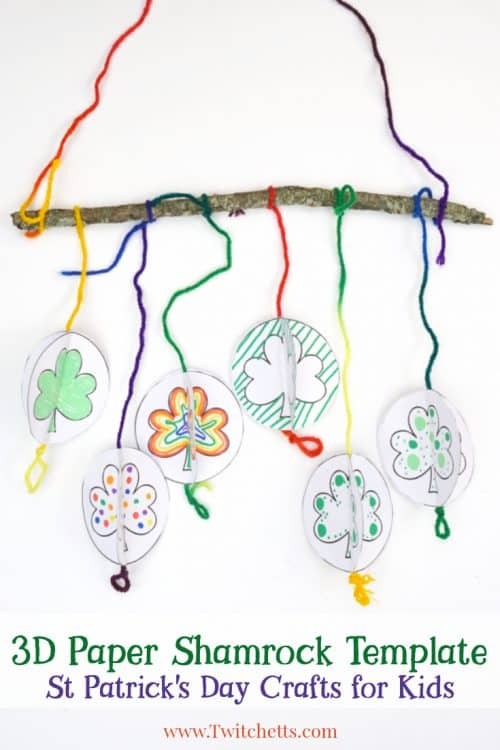 This year, for St. Patrick’ Day, we wanted to create a fun decoration that could be made by a group of kids or a whole family. 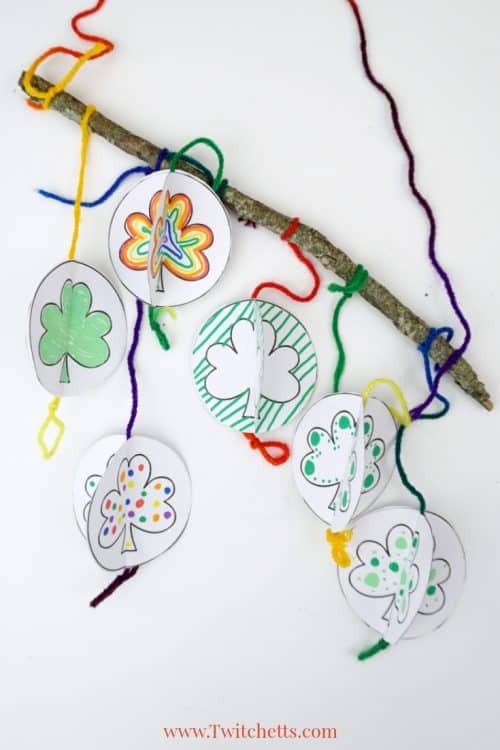 We decided that this fun Shamrock Mobile would be perfect, and with our new 3D paper shamrock template, everyone could easily create their own personalized shamrock! 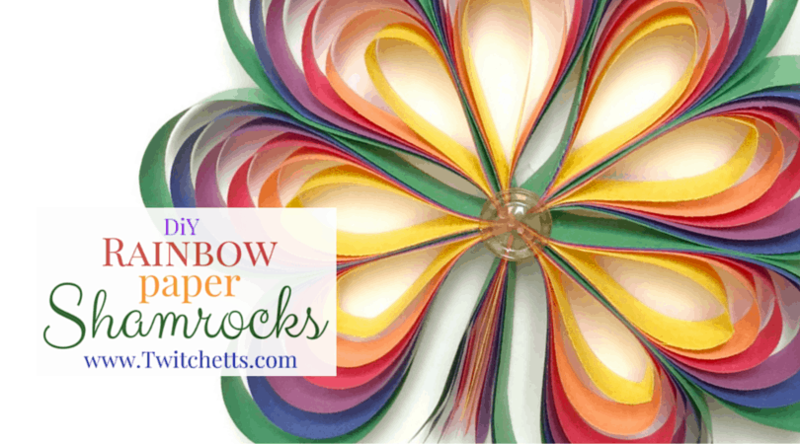 Crayons, Markers, or Colored Pencils. Stick. You could also use a wooden dowl. 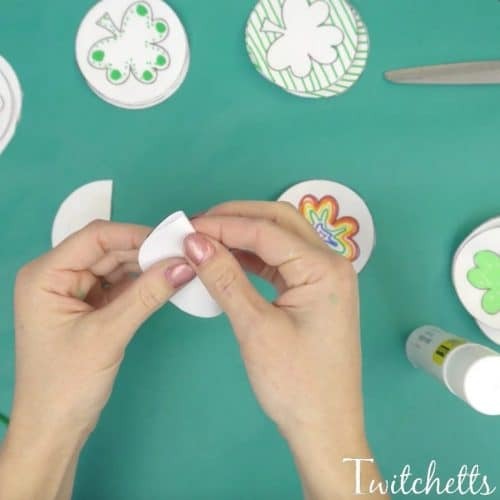 Check out the step by step instructions for using our 3d paper shamrock template. 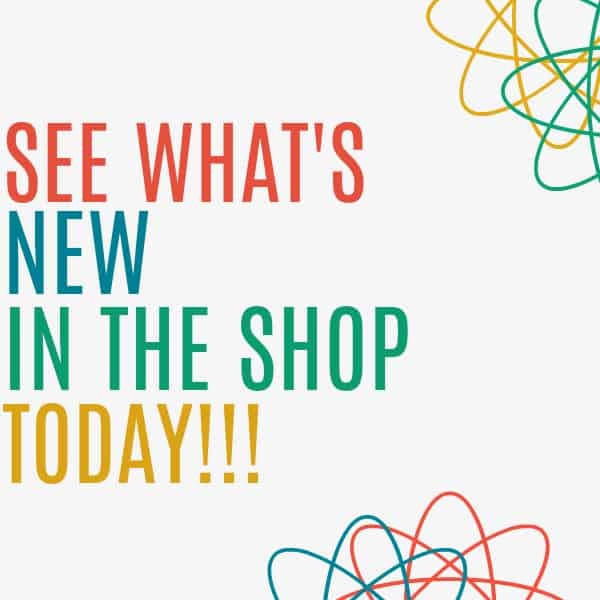 Then watch the fun video below! 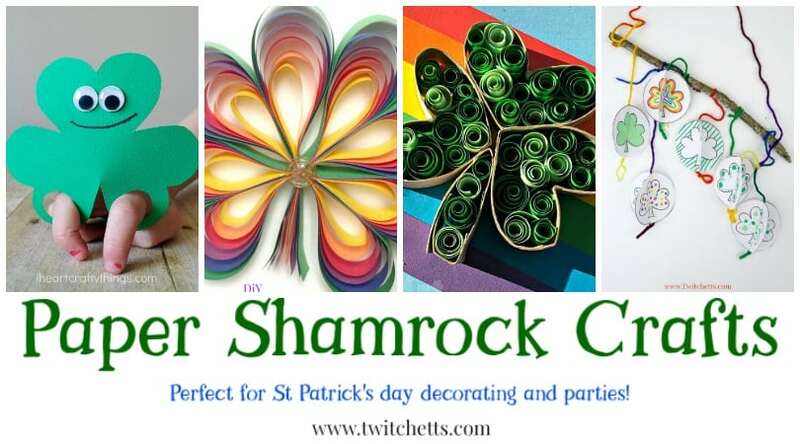 Start by printing out your shamrocks onto plain white computer paper. You can choose a style to color in or we have some with green in them already. Decorate to your heart’s content. 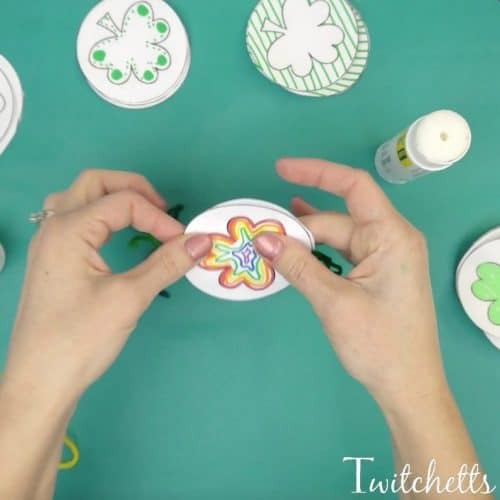 You can color inside the shamrock, around the outside, or both! You can use anywhere from 3-6 circles for each sphere. You decide based on your child’s age and skill levels. When you are done decorating, cut out each circle. 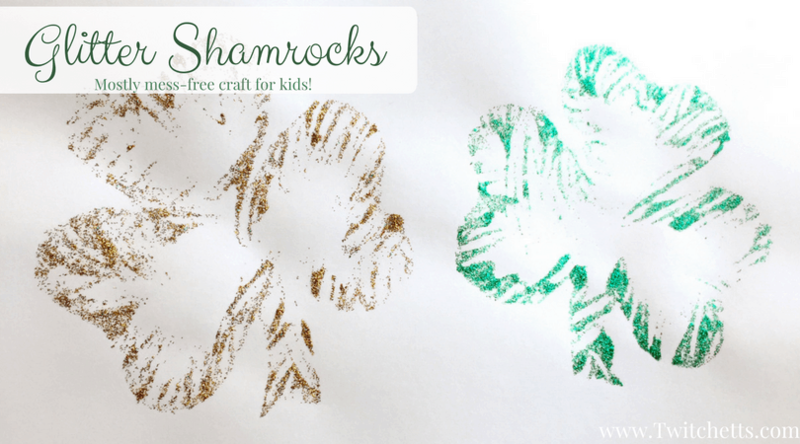 If your children are even older they can cut the actual shamrock! 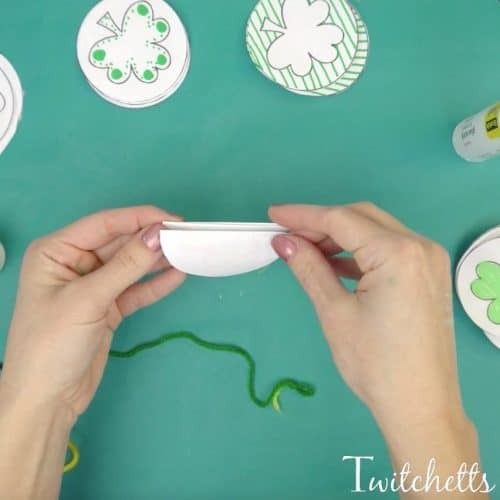 Fold your shamrocks in half with the design towards the inside. Hold them up to the light if you need so you can line them up as close to the middle as possible. 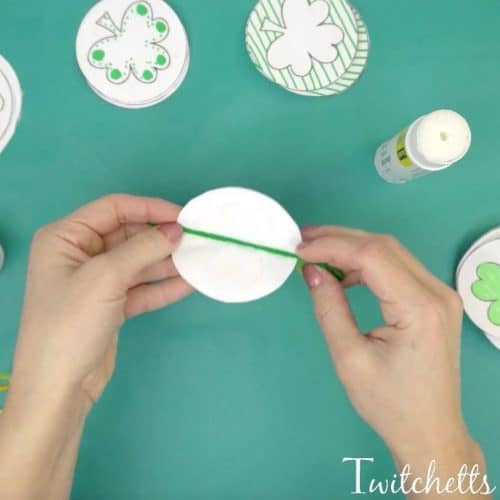 Then glue each of the half circles together until they are in a stack. Take a piece of yarn and tie it in a double knot. 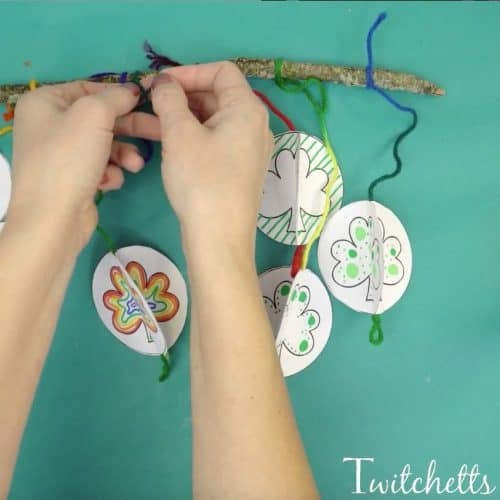 Add glue on the folded edges of the shamrocks and then lay your yarn across. Then secure the sides together with a bit more glue. 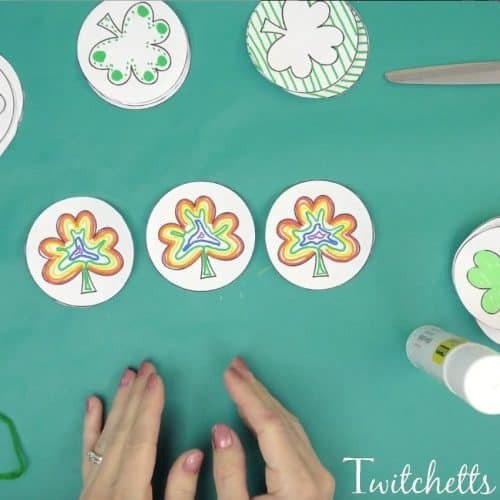 You can watch me create the whole 3D shamrock mobile in our video! 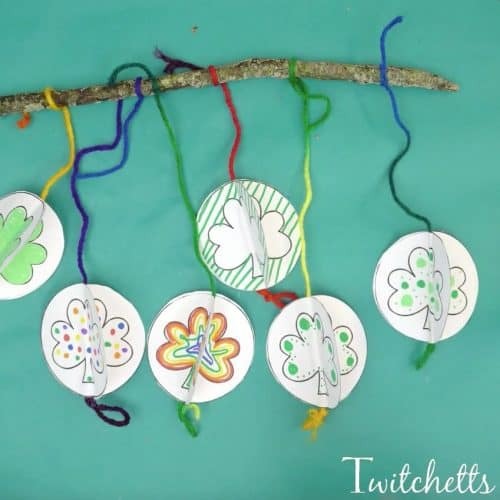 When you are done creating all of your 3D shamrocks you can tie each of them to a stick. It’s fun to see all the different ways they can be colored! Grab your template here! 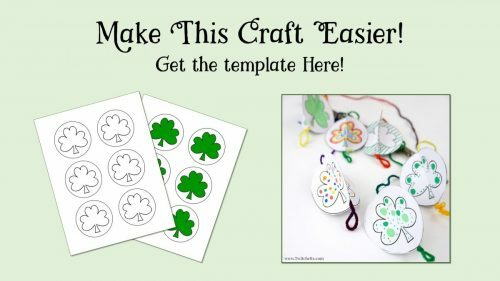 Pin this shamrock craft to your favorite Pinterest board!